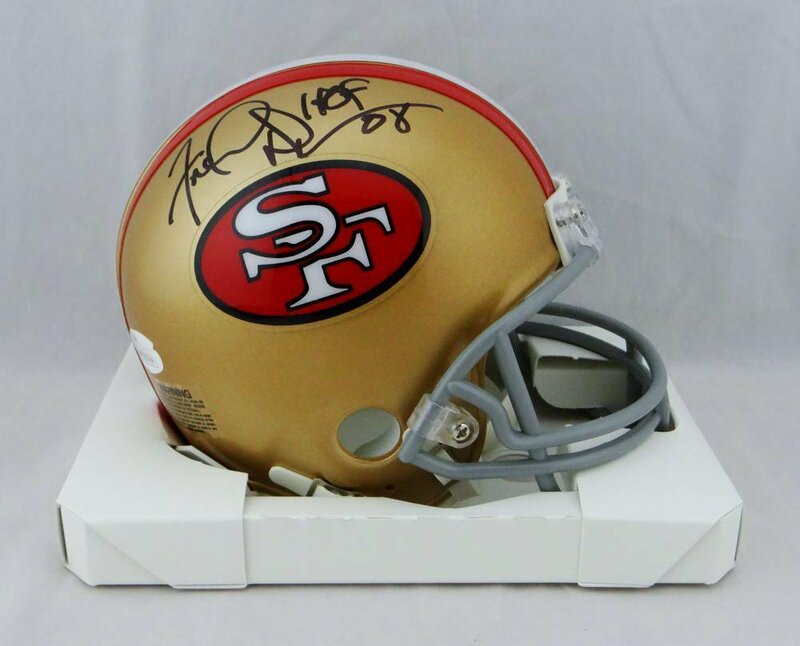 You are viewing a San Francisco 49ers Mini Helmet that has been hand signed by Fred Dean, who added his HOF inscription. This item has been certified authentic by JSA and comes with their sticker and matching Certificate of Authenticity. Mint Condition. View our store for other authentically, autographed items, and combine shipping. Guaranteed 100% Authentic.